Now that you’ve read up on the warning signs and all – or at least most – of them seem to apply to you. You have poor circulation. The first thing you’ll probably (definitely) want to do is make an appointment to go see your doctor and make certain that there isn’t a more serious condition which needs to be addressed. 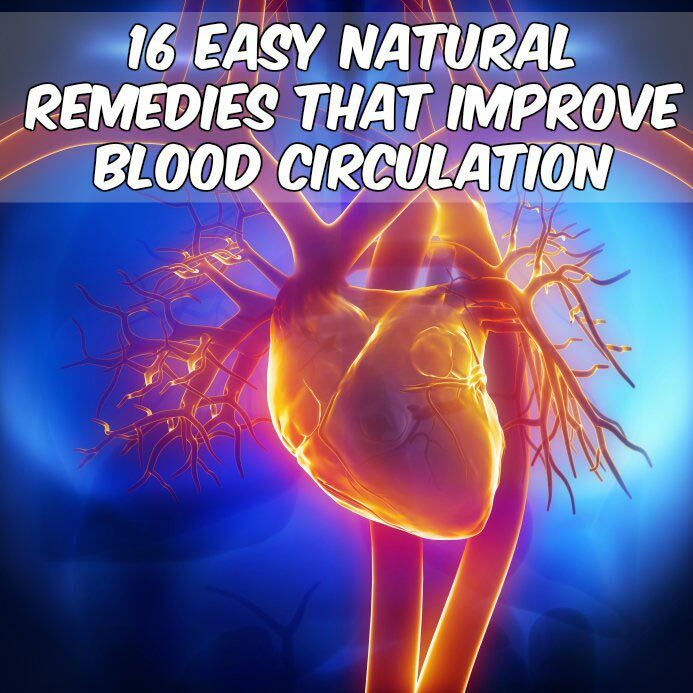 Once you’ve done that, try out these 16 easy natural remedies which improve blood circulation and get started on the path to a healthy heart! What we mean is, “Relax.” Stress is terrible for your heart and it can throw your circulatory system out of balance faster than you might think. Take some time out of your busy schedule to unwind. Soak in a warm bath, meditate, do some Yoga, or just sit in a dimly-lit room and breathe. Surround yourself with things that are pleasing to all of your senses such as plants, paintings, sculptures, relaxing music or a white noise generator, aromatherapy oils, flowers, and a soft rug or pillow. The right pair of shoes can seriously help to reduce the impact that each step you take sends coursing up your spine and through your body. At whichever store you choose to shop in, try to find a knowledgeable associate there who can help you out. Tell him or her about your day-to-day activities so they can help you find the perfect pair. These Reflexology Massage Sandals work by massaging the soles of your feet as you move helping to improve circulation. Your circulatory system relies heavily on the movement of your body to function properly. If you lead a sedentary lifestyle, there’s no time like the present to get up and get moving. Even if all you do is go for a 30 minute walk each day, regular daily exercise is one of the biggest and most important steps that you can take to improve your blood circulation. Alternately, try swimming for a great low-impact activity that will really get your blood pumping! Tense, cramped muscles can easily pinch off blood flow, leading to symptoms of poor circulation like numbness or cold hands and feet. If you frequently experience muscle soreness – especially in the back or shoulders, get someone to massage these cramped areas with rosemary essential oil mixed in a carrier such as sweet almond or olive oil at a ratio of 25 – 30 drops per 2 ounces, respectively. If you don’t have access to rosemary oil, you can purchase it here. Alternately, try 10 drops of eucalyptus oil, 20 drops of clary sage, and 2 ounces of carrier oil; or you can also use 25 – 30 drops of lavender essential oil in 2 ounces of your chosen carrier. Want to explore the fascinating world of mixing essential oils for aromatherapy and massage? Be sure to read: How To Make Your Own All-Natural Massage Oils + 9 Recipes To Get Started! – Sit up straight with your feet flat on the floor and your hands resting on the tops of your thighs. – Engage the core muscles in your abdomen, essentially “sucking in” your stomach. – Take a deep breath, but don’t let your stomach extend. Instead, allow the air to lift your ribs, pushing your shoulders back and your chest outward. Repeat this a few times. – With your shoulders slightly back and looking straight ahead, imagine there is a helium balloon attached to the top of your head, pulling it toward the ceiling. Once you’ve finished all of these steps, you should feel a good stretch through you back and limbs. Of course, training your body to hold the correct posture won’t happen after the first time you do this. You’ll probably have to remind yourself for a couple of weeks before it becomes automatic. A great option is to invest in a Ball Chair to replace your office chair. With this chair you constantly have to engage your core to improve your posture and circulation. This is the most popular and best reviewed Ball Chair on the market. If at any time during this routine you feel sharp or hot pain in your back, you should stop immediately and consult with a medical professional as these symptoms may indicate a more serious problem. While studies have shown that having a couple of drinks each day may actually be good for you, over consumption of alcohol can lead to a whole host of health problems, including heart disease. If your goal is to improve your circulation, you’ll want to limit your alcohol intake to 1 – 2 servings per day and when you do drink, reach for healthier choices like red wine which contains antioxidants and is known to improve cholesterol. Also, try to avoid sugar alcohols (maltitol, sorbitol, etc) as most of these “calorie-free” sweeteners have an adverse effect on digestion which can in turn negatively impact circulation. As an avid coffee drinker, I won’t tell you to give them all up. However, stimulants of all shapes and sizes (coffee, tea, energy drinks / shots, cigarettes, diet pills, etc) have an immediate effect on your blood. 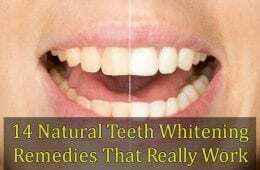 If you use them too often and in too large of quantities, poor circulation will be an early warning sign that you are on the road to bigger and more serious problems. To improve your circulation and your overall health, work on reducing your stimulant intake until you get it down to around 2 – 3 cups of coffee or tea per day (they’re both good for you!) Cut out the rest entirely. If reducing your stimulant intake has you feeling down in the dumps, start drinking green tea instead. This amazingly healthy tea is a wonderful pick-me-up that won’t adversely affect your blood circulation. Read more about the health benefits of green tea in this great article: 10 Reasons You Should Start Using Matcha Green Tea! Cayenne pepper is one of the best spices for improving circulation, but it doesn’t stop there. This hot little number also boosts metabolism, helps your body to digest foods more efficiently, clears your sinuses, and adds pizazz to your food with its pretty red color. Ginger, onions, and garlic are three items that you’ll definitely want to add to your grocery list – not only they stimulate and improve the health of the circulatory system – but also because they’re just good for you. Fresh ginger root is anti-inflammatory, antimicrobial, improves digestion, and can soothe all forms of nausea. Garlic and onions contain organosulfur compounds which help the body to fight off infection, eliminate toxins from the liver and blood, and can even keep biting insects away. – Dark Leafy Greens (kale, mustard, spinach, watercress, arugula, etc) are packed with vitamins C and K, iron, and fiber. – Sweet Bell Peppers (red, orange, yellow) have the highest concentration of vitamin C of any fruit or vegetable. – Celery and Cucumber are excellent sources of both fiber and water which makes them great for cleansing the body and the blood. – Onions, as previously mentioned, help to cleanse the blood and stimulate circulation. – Olives / Olive Oil contain monounsaturated oleic acid which has a positive effect on cardiovascular health. Pumpkin, flax, chia, soy, and pine are all high in fiber as well as protein, vitamins, and minerals. Sprinkle them onto your perfect salad or add them to other foods to improve your circulation and take advantage of their many other health benefits as well. If you have yet to try Chia seeds (not just for ceramic turtles anymore) they are my personal favorite from this group. Read more about them here: 10 Emphatic Reasons Why You Should Add Chia Seeds to Your Diet Today. You won’t believe how much nutrition is packed into these tiny little seeds! Every system in your body needs water to run smoothly. For this reason alone, “Stay Hydrated” is probably the most important piece of natural health advice in existence – even more so than “Get Regular Exercise!” If you want to improve your circulation, use this hydration calculator on About.com to find out how much water you need to be drinking every day and do your best to stick to that number. If you need a little help getting the requisite number of ounces per day, get some good quality resealable containers like these BPA-free stainless steel canisters, fill them up before you go to bed at night, and work on them all throughout the day. This way you can track your water consumption and make adjustments as needed. The next time you order a meal at a restaurant, don’t toss the parsley! That pretty verdant garnish is actually one of the world’s healthiest herbs. Not only does parsley stimulate the circulatory system, it’s also great for digestion which is why it ended up on the plate to begin with (not necessarily at that particular restaurant, but a long time ago in a kitchen far, far away….) Parsley boasts one of the richest concentrations of vitamin K of any herb or veggie, provides antioxidant protection, and is one of the best foods for detoxification of the liver and blood. So go ahead. Eat the garnish. After all, it is the healthiest thing on the plate! Once you’ve taken steps targeted at improving your blood flow, you’ll also want to focus your attention on the big picture. One circulatory problem is often linked to another and there is a fair chance that arterial build-up could be adding to the problem. Check out these 9 Clever Ways to Naturally Clear Arteries as well as 21 Foods That Naturally Unclog Arteries to pick up 30 more invaluable tips for a happy, healthy heart!